Being a ‘women in a man’s world’, it might sound outdated, something that we should be well beyond having to think about. Equality is, unfortunately, something that we are still working on. 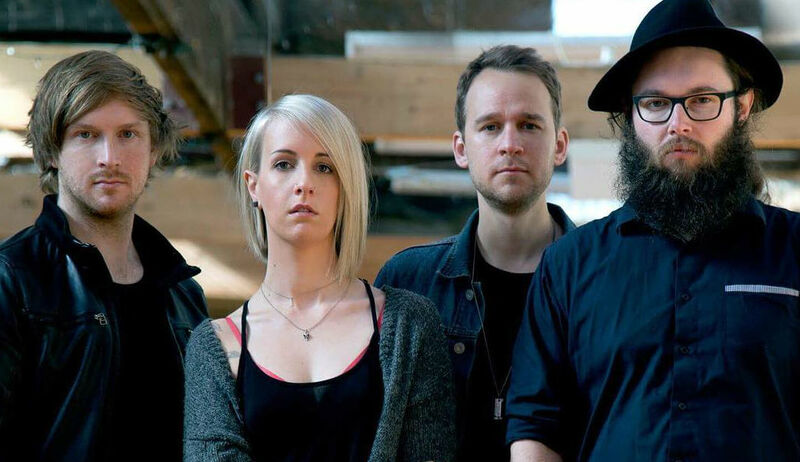 We spoke to Emma Cameron, the strong female voice behind Christchurch Rock Band Decades, about being a female in the music industry and the things she has faced – such as being told she is ‘good for a girl’ and the inappropriate comments she has experienced. But more importantly, we found out how she is using this to help drive her to be an incredible musician and an empowering woman. What is your most memorable moment with Decades? Releasing our debut album this month – a milestone we’ve been wanting to reach for a long time! What is your favourite song Decades has released? Out of the singles we’ve released, my favourite is If It Kills Me. But my favourite song off the album is it’s namesake; The Truth. The album chronicles my split with my ex of 7 years and meeting someone new – The Truth is kind of the seminal moment where my ex asked me what was going on and why I was being so distant. It was that day I had to tell him I had fallen out of love with him over time and had met someone new. I finally told the truth to him, but more importantly admitted it to myself. What are some other topics you want to sing about? I don’t actively set out to sing about anything in particular – Liam and myself write based on our own real life experiences or feelings. I can’t sing about something I don’t feel or experience personally – so I guess I just have to wait for what life throws at me next, or for something to get me really riled up. What do you hope to achieve in your upcoming album and tour? Enjoyment and satisfaction to see all the hardwork of the last couple years all be out there for the world to see and hear! Where do you see Decades in 10 years? I would like to see us have a few more albums out and have had the opportunity to take our music further than New Zealand’s shores and have a blast doing that with each other. These are my best friends and we are so lucky we get to do this. Your blog, Good for a Girl, came about from a very frustrating moment. Can you explain this to me? Myself, my partner and a bunch of our friends were out-of-town for a fun and casual musical event with each other. Our first single, Terrified, had been released a couple weeks prior and was doing really well on radio and we were celebrating that that weekend, also. After the gig, in which my partner and several of our friends performed (not me, though, I was just enjoying the evening), a punter sat down at our table and was gushing to all the men (non-musician ones included) about how amazing they all are at music. I made a joke kinda sarcastically implying my adoration for the musicians too, especially the ones that were male, at the table, and not playing professionally at all and what would myself and another female musician sat at the table know about music, we’re just silly women – the punter took my comment seriously and told me something along the lines of “you can only be good at what you’re good at, hun!” Didn’t let them know I am actually really good at music. Just let that one sit in the air. I got quite a kick out of it to be honest. Ha ha! What inspired you to then create a blog? I was live tweeting the whole ordeal for a laugh and my manager called me cracking up telling me I should start a blog about these subtle little instances where I am not taken seriously or straight up slammed – so I did. Thanks for not asking me what make up I wear or how much longer I take to get ready for a show than my male counterparts! What are some of the hardest things being a girl in the rock industry, something often seen as a ‘man’s world’? Being taken seriously as someone who is a professional and knows what they’re doing. Sure, there are many aspects I don’t know or understand yet, but men tend to be assumed from the get-go that they DO know things even when they don’t – where I find it’s often assumed off the bat that I DON’T know things, when I do. Without calling anyone out, what have been come of the most frustrating moments for you as a female in the music industry? Well there is the inappropriate touching and comments some men can make to me that the boys obviously don’t have the pleasure of experiencing. But in terms of non-borderline-or-straight-up-sexual-harrassment stuff; nothing is ever particularly frustrating – just funny. And often I don’t even pick up on it until I’m being retrospective – my intention with my blog isn’t to get angry at men, burn bras, or be a keyboard warrior. I’ve done that before in my youth and it helped no one – including myself. These days I think the world is a pretty amazing place, and we have it pretty awesome here particularly in New Zealand, the majority of it are just these little subtle and ingrained micro-aggressions and stereotypes which are the last hurdle – I just find pleasure in pointing them out in a funny way. Of course when it comes to more serious allegations I am prepared and able to fight to the death for women. You call yourself a feminist, what does being a feminist mean to you? People of all genders having the equal right to be autonomous, heard, and respected.